Kua Number is a basic concept in Feng Shui. Kua number is calculated based on the Date of Birth and Gender of a person. According to Feng shui, the year of birth of a person has some influence on certain qualities, abilities and features of the individual. It is also believed that better understanding of Kua Number helps in the development of a persons potential and also overall improvement of his life. Feng Shui Kua Number divides people into 2 groups. The Feng Shui Kua Number divides people into East and West group. Kua numbers 1, 3, 4, 9 or a 5 male belong to the East group. Kua numbers 2, 6, 7, 8 or a 5 female belong to the West group. 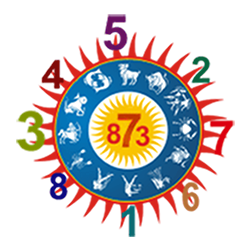 Understanding one's Feng Shui Kua Number will help him determine the best areas for him and identify his best elements, lucky colors, lucky number, lucky seasons and lucky directions, thereby creating a positive mental attitude within himself. Why Use Your Kua Number? The purpose of determining your kua (also spelled gau and pronounced GWAH)) number is to make feng shui adjustments that are specific to who YOU are. Your special number tells you what your best directions and locations in any room or house are, and what you can do to make them more powerful in bringing you peace, good health and success. 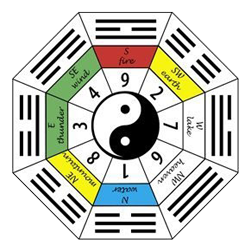 Through the interpretation of various combinations of the trigrams (the black line symbols) it is believed that humankind can be guided on how to follow the path of least resistance through the energy offered by the influential forces of heaven (Yang) and Earth (Yin). By organizing your personal energy areas in a particular way, and by spending time there, or even just facing these directions when you sit down or sleep, you can reduce the stress in your life and create more joy. Knowing this special feng shui number is significant since it will be used to identify the good or bad locations and directions for the places you spend most of your time. Make it a habit to use your Feng Shui Kua number, which is your specific Life Force Energy number. You can use your personal kua (or gua) number to directly benefit you in your interior living space be it at home, or at work. This is one of the best ways to use Feng Shui to improve your life. Once you know your kua number and your best directions, the goal is to face one of your best directions when you're working or studying or eating. You can also sit in one of your best locations; and be sure to always avoid facing your bad directions and spending any long stretch of time in one of your bad energy locations. Our advice to make this information work for you is to carry a good, REAL, compass with you and locate your best direction in all the places that you spend a lot of time. Making a habit to find your best direction, will activate your Life Force energy. You should sleep with the top of your head pointed to one of your good directions. Your stove door should face one of your good directions. Your main house door should face one of your best directions. In your office, sit at your desk facing one of your good directions. Locate the best energy rooms where you live. These rooms are where you will absorb your best personnal Feng Shui. Generally speaking, the Feng Shui in your home or apartment is more important than the Feng Shui in the office. If your sleeping position is correct and the main door is facing a good direction, you are automatically considered to have good personal Feng Shui. If you belong to the West group and your significant other belongs to the East group, don't worry. Choose, for example, his Kua for the bed and your Kua for the stove. Why? The person who earns the most money gets priority in sleeping with the top of their head pointing to their best directions, in order to protect the family's biggest income. 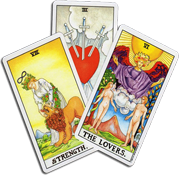 Everyone has 4 favorable areas and directions for wealth, health, love and personal development; and 4 unfavorable areas/directions which bring a slightly different kind of unfavorable energy. Your kua number (sometimes called Pa Kua) is determined in accordance to the year of birth utilizing the Lunar Calendar. Use the box below to get your number right now. As you can see from the chart, each Kua number attracts a different kind of prosperity. Feng Shui masters recommend that you work, sit or sleep with your head or face pointed in your Sheng Chi (Success) Direction. How to calculate Feng Shui Kua Number? Calculation of Kua Number is based on a simple formula. For the calculation of Feng shui kua, 2 factor are taken into consideration - year of birth and Gender. Follow these simple steps to calculate Kua Number. Add the last two digits of your year of birth. If the resulting number is a double digit, add the digits once again to get a single digit. Kua Number for female - Add 5 to the single digit obtained in previous step. If the result is a double digit, add the digits to get a single digit number. Kua Number for male - Subtract the single digit obtained in the first step from 10. 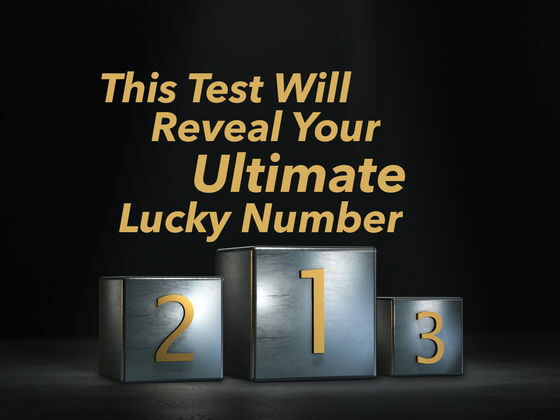 The resulting single digit number will give the Feng shui kua number for male. For Example, if your year of birth is 1978, add the last two digits, ie., 7 + 8 = 15, which is a double digit number. Therefore add the two digits, 1 + 5 = 6. For calculating the Feng Shui Kua number of a Male, substract number 6 from number 10. Therefore the calculated Kua number for a male born in 1978 is 10 - 6 = 4. For female, add 5 to the number obtained in first step. 6 + 5 = 11. Add once again to get a single digit. 1 + 1 = 2. Therefore, Feng Shui Kua Number of a female born in 1978 is 2. Note: Some schools of Feng Shui do not use the Kua Number 5.